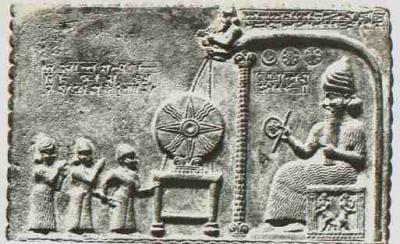 According to Sitchin's interpretation of Sumerian cosmology, there is a hypothetical planet which follows a long, elliptical orbit, reaching the inner solar system roughly every 3,600 years. This planet is called Nibiru (the planet associated with Marduk in Babylonian cosmology). Nibiru collided catastrophically with Tiamat, another hypothetical planet that was between Mars and Jupiter. The collision formed the planet Earth, the asteroid belt, and the comets. Tiamat, as outlined in the Enûma Elish, is a goddess. 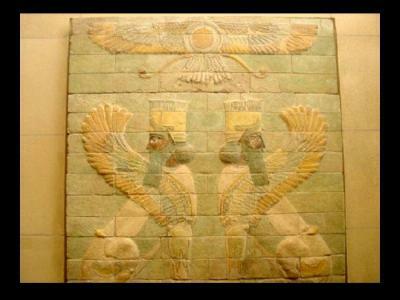 According to Sitchin, however, Tiamat may have been what we now know as Earth. When struck by one of planet Nibiru's moons, Tiamat split in two. 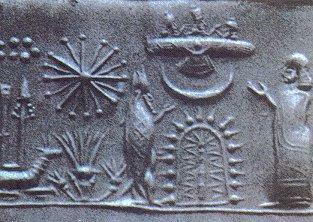 On a second pass Nibiru itself struck the broken fragments and one half of Tiamat became the asteroid belt. 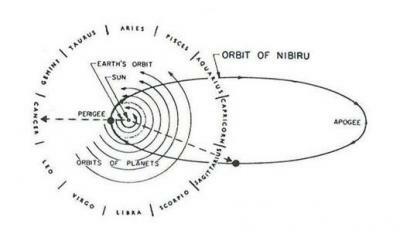 The second half, struck again by one of Nibiru's moons, was pushed into a new orbit and became today's planet Earth. This scenario is scientifically disputed. However, Sitchin's supporters maintain it would explain Earth's peculiar early geography due to cleaving from the celestial collision—i.e. solid continents on one side and a giant ocean on the other—and would also explain why the Earth is layered in sediments. 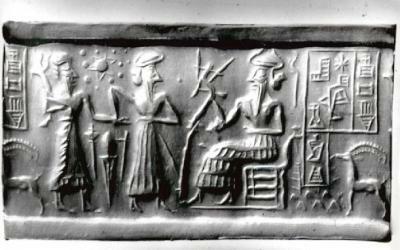 According to Sitchin, Nibiru was the home of a technologically advanced human-like extraterrestrial race (called the Anunnaki in Sumerian myth) who were called the Nephilim in the Bible. He claims they first arrived on Earth probably 450,000 years ago, looking for minerals, especially gold, which they found and mined in Africa. 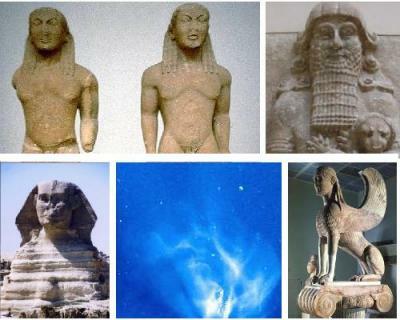 These "gods" of the Anunnaki were the rank and file workers of the colonial expedition to earth from planet Nibiru. Sitchin believes the Anunnaki genetically engineered Homo sapiens as slave creatures to work their gold mines by crossing extraterrestrial genes with those of the Homo erectus. 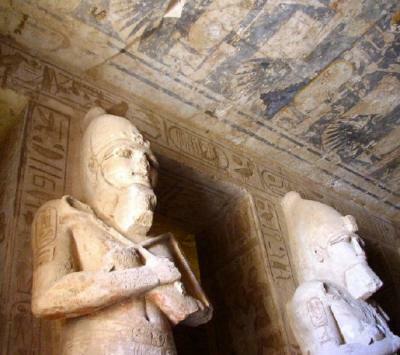 Sitchin claims ancient inscriptions report that human civilization in Sumer of Mesopotamia was set up under the guidance of these "gods", and human kingship was inaugurated to serve as an intermediary between the Anunnaki and mankind. Sitchin believes that fallout from nuclear weapons used during a war between factions of the extraterrestrials is the "evil wind" that destroyed Ur around 2000 BC (Sitchin himself claims the exact year is 2024 BC), as recorded in the Lament for Ur. Sitchin claims that his research coincides with many biblical texts, and that the biblical texts come originally from the Sumerian writings of their history. Today, there have been 12 visitors (15 hits) on this page!